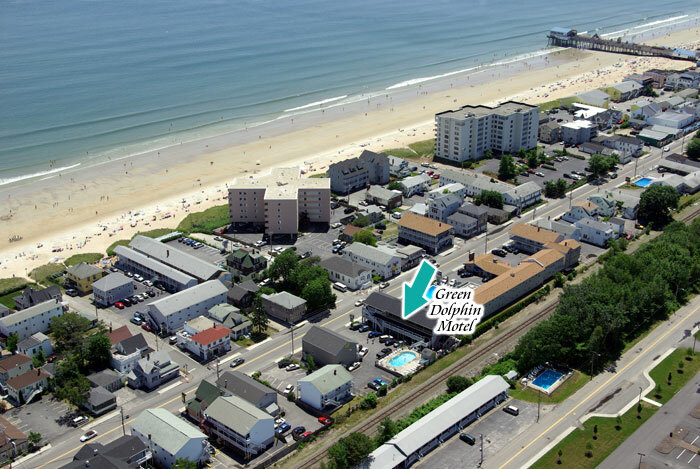 The Green Dolphin Motel in Old Orchard Beach Maine is located directly across the street from the beach and is just a short walk to The Pier, and the Old Orchard Beach Main Street shops and restaurants. 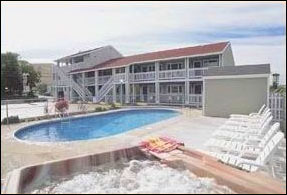 We have 25 units, some with ocean views and romantic in-room Jacuzzi Suites. Our motel units all offer two queen beds or two full beds, private bath with tub and shower, mini-refrigerator, air conditioning, cable color TV, and in room phones. Many units have equipped kitchenettes including cook tops. Guests love our large fresh water heated pool and outdoor Hot Tub. We have a coin-op washer/dryer in the motel and daily maid service is included. We have free parking for one vehicle per unit.